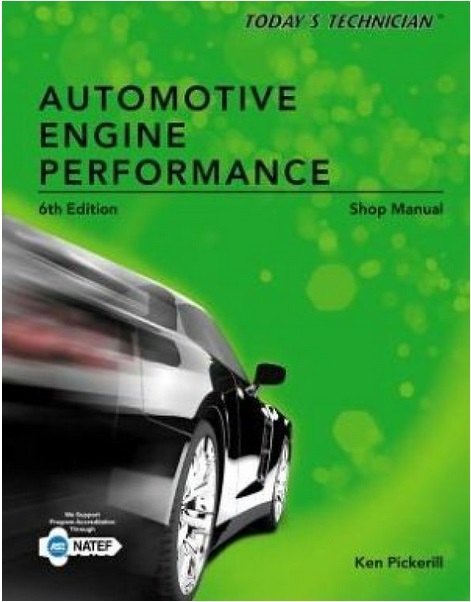 Today's Technician: Automotive Engine Perforamnce 6th Edition, Newest Edition from Cengage/Delmar Learning! Describe the key features (e.g. a chapter in the TOC, a feature to spotlight, a supplement to call out, and technology to mention) instructors will want to be aware of. Correlates with the current NATEF A8 Standard for Engine Performance, as well as ASE Certification criteria; the 6th Edition fully prepares learners with the latest information available on the market. The 6th Edition of TODAY’S TECHNICIAN: AUTOMOTIVE ENGINE PERFORMANCE, 6th Edition has been updated to focus on the latest advances in automotive technologies, such as electronic controls. Supplements available with the 6th Edition include enhanced PowerPoint™ slides with animations and video clips, chapter tests in ExamView, Image Library, Instructor Guide, Job Sheets, WebTutor® Advantage cartridges for Blackboard ® and Angel Learning Management Systems, and CourseMate interactive learning tools. 1. Overview of Engine Performance. 3. Engine Design and Operation. 8. Electronic Fuel Injection Systems. 10. Electronic Ignition (EI) Systems. 12. Computer Outputs and Networks. 2. Typical Shop Procedures and Equipment. 3. General Engine Condition Diagnosis. 4. Basic Electrical Tests and Service. 5. Intake and Exhaust System Diagnosis and Service. 6. Engine Control System Diagnosis and Service. 7. Fuel System Diagnosis and Service. 8. Electronic Fuel Injection Diagnosis and Service. 9. Distributor Ignition System Diagnosis and Service. 10. Electronic Ignition System (EI) Diagnosis and Service. 11. Emission Control System Diagnosis and Service. 12. Servicing Computer Outputs and Networks. 13.On-Board Diagnostic (OBD II)System Diagnostics and Service.